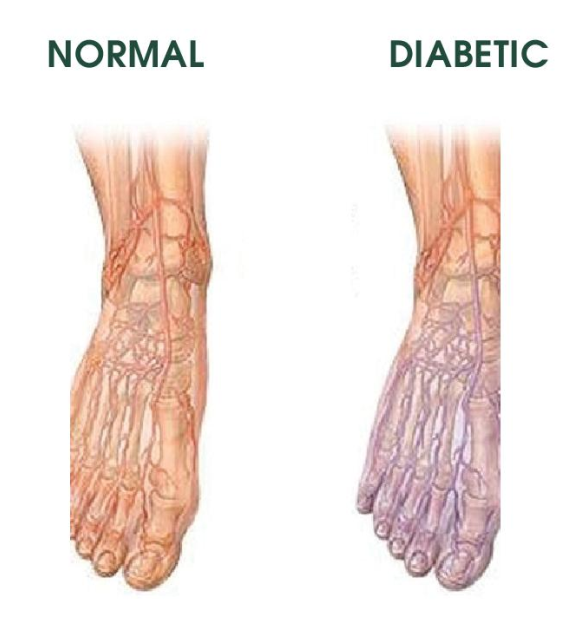 Almost 80% of all Diabetics struggle with circulation disorders. With poor circulation causing oxygen starvation to the legs and feet, nerve damage is a possibility that carries severe side effects. With no artificial preservatives, colourants or flavourings, DiaBoost harnesses the power of scientifically-proven flavanoids that improve circulation. 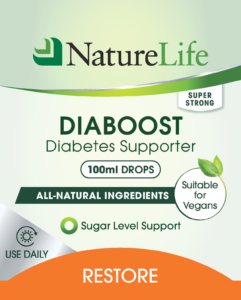 Diaboost can be used in conjunction with other diabetic medication to help stabilise blood sugar levels naturally. 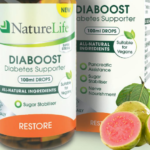 Diaboost helps to ensure that the pancreas is producing the correct amount of insulin when needed and offers anti-inflammatory, analgesic and digestive health benefits for diabetics. 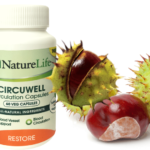 Best results are obtained when used in conjunction with NatureLife Circuwell. Cayenne has shown to improve the sensitivity of your tissues to insulin, and less insulin will be required to efficiently cause the movement of glucose from your blood into your tissues. Cayenne helps with weight loss by speeding up metabolism, thereby increasing the amount of calories burnt. Cayenne pepper improves blood flow to the extremities of the body. 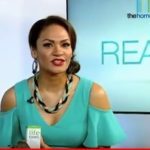 Assists with weight loss to treat obesity and lowers high cholesterol. Guava leaves are a natural antiparasitic that remove parasites from the pancreas to improve insulin production. 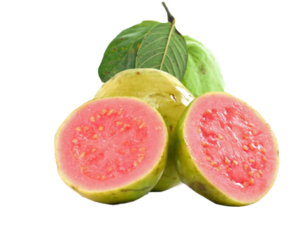 Guava leaves are shown to reduce the conversion of food into glucose in the blood, thus reducing blood sugar levels. 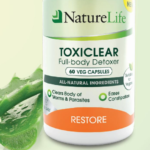 Supports the health of the circulatory system and reduces inflammation. Citrus Bioflavonoids helps in the regeneration of pancreatic cells and increased insulin release. A rich source of alpha-linolenic acid that has shown to improve diabetic neuropathy, a complication of diabetes that results in damaged nerves. Black walnut protects against heart disease and slows down the absorption of sugar into the bloodstream. Black walnut also acts as a natural antiparasitic that remove parasites from the pancreas to improve insulin production. Bilberry is used for improving eyesight and poor circulation related to complications experienced with diabetes. Bilberry has been shown to lower blood glucose levels as well as increase insulin sensitivity. Lowers glucose, triglycerides, and cholesterol levels while increasing insulin and high-density lipoprotein (HDL) levels increased. Assists in controlling blood pressure and lowers the lipids, or fat, in your blood. Improves kidney function and helps to eliminate excess water from the body. 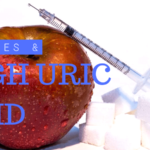 Helps lower uric acid levels. Lowers blood pressure and improves quality of sleep. Poor sleeping patterns have been shown to increase the risk of diabetes. Improves circulation and energy levels as well as memory and concentration. Protects and repairs damage to the blood vessels and speeds up healing of wounds. Reduces pain and inflammation. Contains excellent antioxidant and anti-inflammatory properties which can help protect against damage caused by diabetes. Black Pepper can boost pancreatic cell production, thereby improving insulin function. Ginger has an anti-hyperglycaemic effect. It lowers serum total cholesterol, triglycerides and increases the HDL-cholesterol levels. Cayenne 7.5mg, Guava 10mg, Bilberry 5mg, Citrus Bioflavonoids 13% 0.1mg, Black Walnut 5mg, Celery Seed 5mg, Passion Flower 5mg, Gotu Kola 5mg, Black Pepper 0.5mg, Ginger 0.5mg, Medicinal Ethanol 50%v/v and Purified Water. Adult Dosage: 20-30 drops in half a glass of water drink, 3 x daily. Children (4 Years +): 10 drops in a little water, 3 x daily. Blood vessel damage in the feet may cause tissue damage.